Section B-I/12, Paras 36-66 And Section B-II. 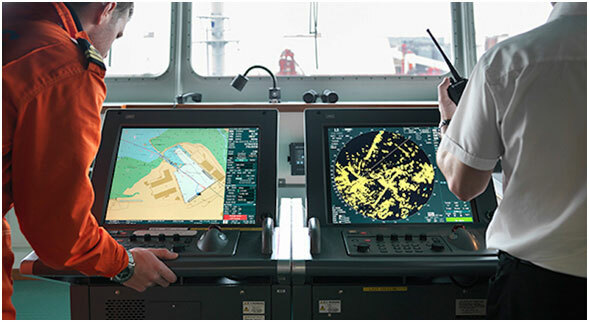 The candidate has completed training in the Navigational Use and Operation of ECDIS (JRC JAN-701B/901B/2000 ECDIS) based on guidelines given in IMO Model Course 1.27. Get an overview of regulatory requirements including IMO performance standards. Get familiarised with Electronic Charts Display and Information System which includes functions and operation of all keys and buttons on the ECDIS. Carry out Passage planning, considerations and setting up of various parameters for activating safety and navigational alarms. Execute Passage planning and Route monitoring on ECDIS, which is done as an exercise on the Ship maneuvering TRANSAS, SPERRY MARINE, SAM, CHATWORLD, JRC , MARTEK, MARIS, CONSILIUM via Safebridge.